Rick Jacobson, a professional with an established career in executive search and corporate recruiting, founded the Windham Group in 1997. We serve clients in areas that include manufacturing, information technology, telecommunications, as well as service industries that include insurance, financial services, retail and not-for-profit. We have secured talent for nearly every functional discipline found in most manufacturing and service environments. Headquartered near Akron, Ohio, we also partner with other Midwest organizations and consultants, expanding our resources to meet your specific leadership hiring or developmental needs. 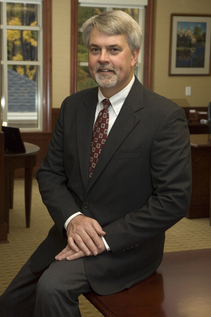 Prior to executive search, Rick's professional experience included several years in corporate recruitment and human resources with Deloitte & Touche, a "Big Six" public accounting firm; Capitol American Life Insurance Company; Wadsworth/Alert Laboratories, a "state-of-the-art" environmental testing and consulting business; and OfficeMax, a national retail chain. He began his career as an auditor with Arthur Andersen in Cleveland, after receiving a BS in accounting from The University of Akron. The Windham Group develops creative and productive approaches to meeting your company's executive recruiting needs, drawing on our experience with a broad range of industries and functional areas. We will rapidly evaluate a broad selection of available, qualified candidates and deliver them to you for consideration. We strive to build long-term relationships with our clients by never failing to completely meet their hiring needs and expectations. We attempt to understand all relevant aspects of your company's business, enabling us to consistently present individuals meeting both your strategic objectives and your company's culture. You can expect us to deliver only viable, qualified candidates. You can be assured that we adhere to the highest standards of ethical conduct and integrity in our relationships with our clients and the candidates we pursue. Our reputation for discretion and maintaining confidences makes it possible to attract higher quality candidates. It also often enables us to glean "inside intelligence" that allows us to more thoroughly vet candidates and better match their traits to your needs.